Why SSC CGL Aspirants Are Protesting? SSC CGL Tier 2 exam was held from 17 to 22 February 2018. A total of 189843 candidates had appeared for the exam, this year. New Delhi: An alleged paper leak in the ongoing SSC CGL tier 2 exam has stirred anguish in lakhs of job aspirants, nationwide. Since 6 days, candidates have been protesting outside the office of Staff Selection Commission (SSC) at the CGO Complex, Lodhi Road, New Delhi seeking a CBI probe into the issue. SSC CGL Tier 2 exam was held from 17 to 22 February 2018. A total of 189843 candidates had appeared for SSC CGL Tier 2 exam, this year. On 17 February, on the first day of the exam, the Commission cancelled the second shift exam at Animate Infotech, Mohan Cooperative Industrial Estate in New Delhi on the basis of "prime facie evidence it had received". According to the commission, "Prima-facie evidence clearly indicated that the entire episode was created by some unruly elements, with a malafide intention, to try to disrupt the examination". On 21 February, the official communication from the Commission said that at 8.45 am the service provider informed of technical glitches following which, the exam (paper 1: quantitative aptitude) delayed at all venues across the country. The exam began at 12.10 pm and candidates were given full time. Out of 41,331 candidates who were supposed to appear for the paper, 33,075 candidates appeared for it. On 24 February 2018, SSC decided to re conduct paper 1 exam for all the candidates who had appeared for the said paper on 21 February. The Commission scheduled the exam on 9 March at 10.30 am and by then #SSCexamscam had already started trending on social media platforms. On 27 February, after a protest rally SSC met a delegation of three candidates and took note of the issues raised in the representation. On 28 February 2018, the Commission cited the protest to be 'instigated by coaching institutes with vested interests,' and allowed candidates time till evening to present their case. Candidates were asked to submit 'concrete evidence' against their allegations till 10.30 am next day. On 2 March 2018, Delhi Chief Minister Arvind Kejriwal asked for a CBI inquiry into the 'SSC exam scam'. 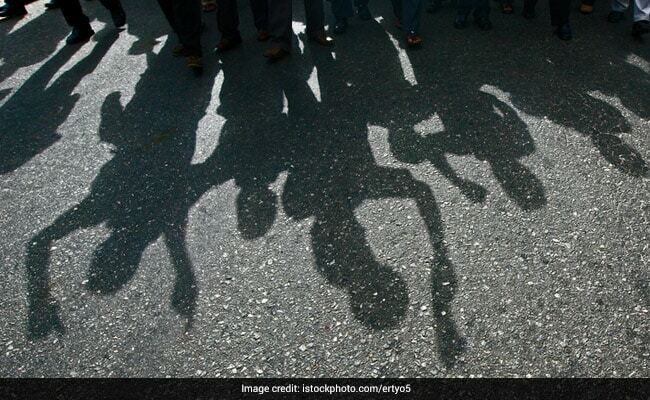 "Thousands of aspirants are demanding a CBI inquiry into the SSC exam scam. This issue is related to their future. The central government should immediately accept the aspirants' demand and order a CBI inquiry," Arvind Kejriwal tweeted on Friday. Swaraj India president Yogendra Yadav, Congress spokesperson Randeep Singh Surjewala, Congress leader and Member of Parliament Shashi Tharoor, too, backed the protesting candidates for a CBI probe. Student groups NSUI, ABVP have also taken the centrestage of the protest. 'NSUI supports the demand of the students for a CBI probe into this matter. This matter requires immediate action to prevent such an incident in the upcoming DU Entrance Exams,' reads the twitter handle. ABVP, on the other hand wants probe into nexus of particular coaching centres and the former Chairman of SSC.